Dr. Cardoo is unique family fun entertainment. A must for any tropical event. 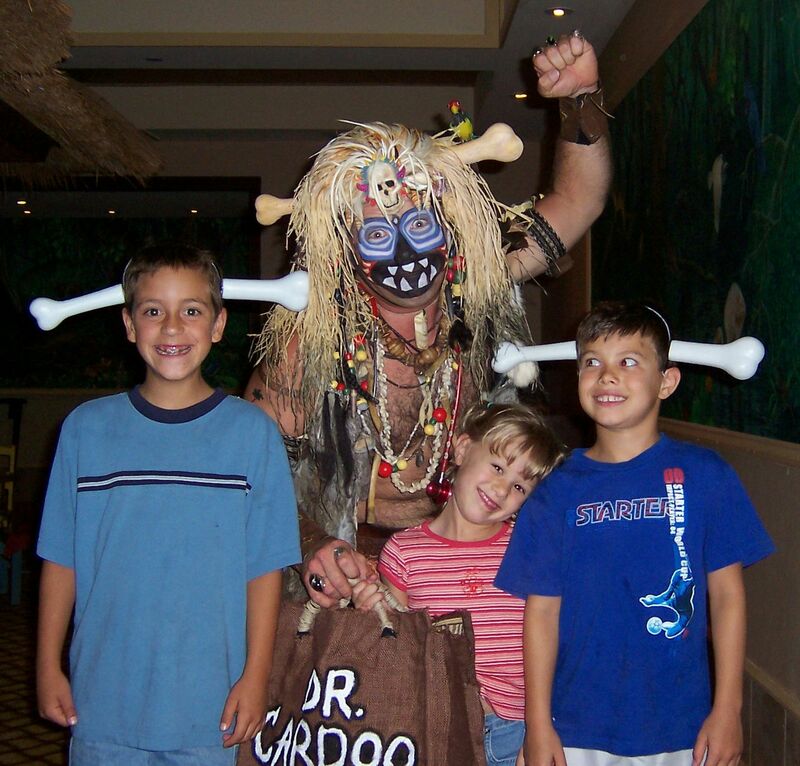 Dr. Cardoo provides unforgettable experiences with his craved photo opportunities and spell binding close up magic entertainment. Click here to see Dr. Cardoo in action! Dr. Cardoo is so unique it's hard to find adequate words of description. 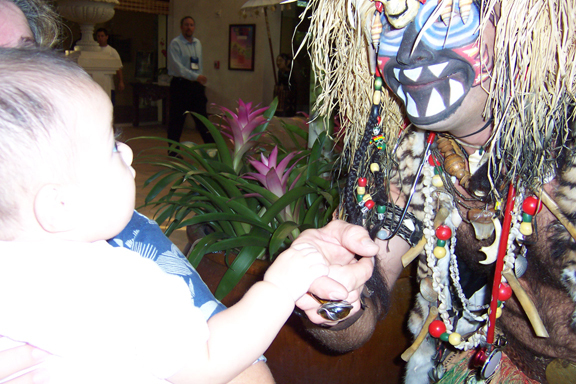 Think " Island Magic Man " does Las Vegas and you're on the right track. 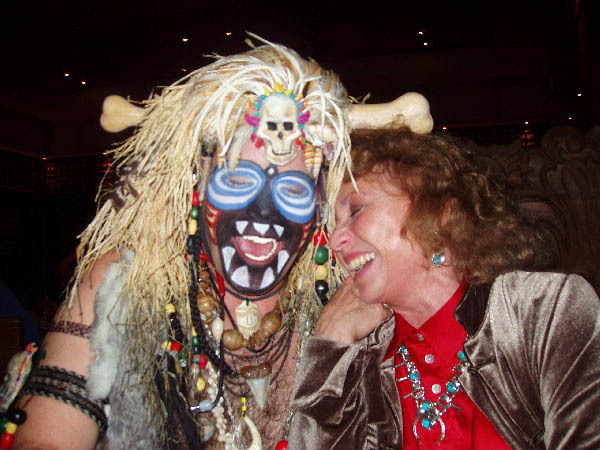 Dr. Cardoo is very adaptable to different event situations (luaus, bar mitzvah, bat mitzva, tiki, beach, Jimmy Buffett parties etc). 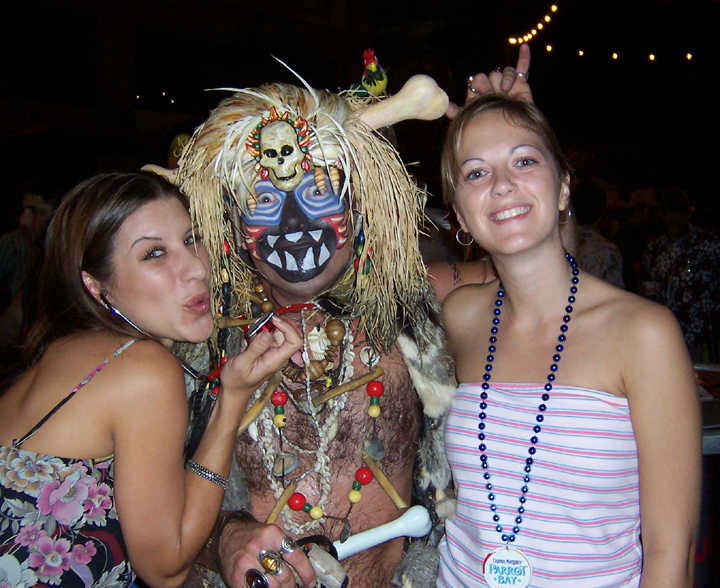 Sometimes a clown in a grass skirt, sometimes the master of the mysterious but always an unforgettable experience for your guests. Make it an event to remember, hire Dr. Cardoo for your special event. Welcome to Dr. Cardoo's Mojo Site! The most unique and original tropically themed entertainment available! Send A Funny Animated Doctor Cardoo Booga Booga Birthday Card To Anyone. Click Here! Find picture of You & Dr. Cardoo click here. Thankyou for visiting Dr. Cardoo's mojo site. While you are here please check out Dr. Cardoo's souvenir shop. 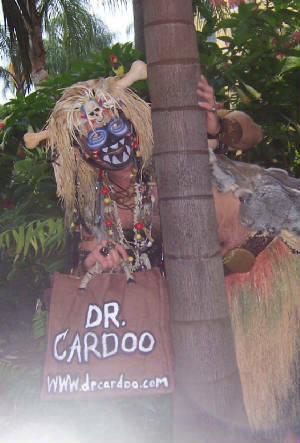 You can buy secret mojo magic and get info about Dr. Cardoo's near Disney vacation rental home.